you can enjoy the best anonymously internet experience. Zeta Uploader is a service of the zeta software GmbH for electronic data exchange. Use the Zeta Uploader to mail several files and/or folders to one or more receivers. 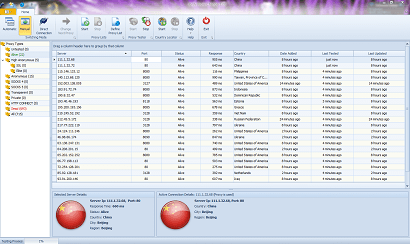 EDB Viewer Tool is an all-in-one solution for hassle-free viewing of damaged Exchange Server files and recovery of their content. Thanks to an intuitive UI, a convenient built-in viewer and a fast recovery engine, the program can be used by anyone. E-mail Follow-Up can monitor sent messages left unanswered. This add-in allows you to set the period of time that the sender should wait for the reply. If the reply isn`t received within the specified time the program will notify the sender. MS Outlook without an Exchange Server in Outlook networks. OLfolders for MS Outlook networks enables the accesss and sharing of MS Outlook pst data stored on a different computer from each workstation simultanously in a given or new network. Synchronize objects and Free/Busy data between multiple forests - Share information between Exchange organizations. NETsec`s GALsync allows you to share Exchange mail-enabled objects of your Active Directory forest with other forests.